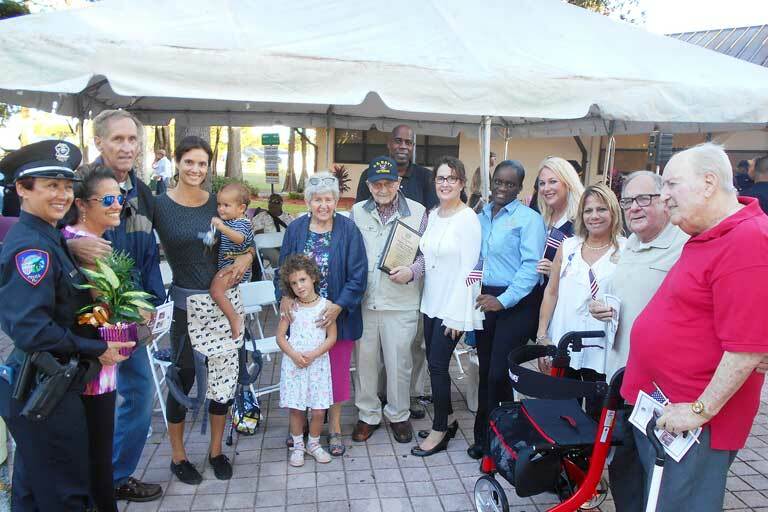 The city of Lauderhill, Florida, honored nine veterans for their service in different branches of the U.S. military on Nov. 8, 2017. Among them was Simon Growick, a Navy veteran who resides at Garden Plaza at Inverrary in Lauderhill. Appropriately, the Veterans Day ceremony took place at the Veterans Park. Local leaders, including the city commissioner, were in attendance, in addition to veterans and their friends and family members. Several residents and associates from Garden Plaza at Inverrary attended, including Shaniel Williamson, lead dining server, who nominated Simon for the award for meaningful service. Simon’s bio, including his time in the service, was read, and he received a plaque commemorating the occasion. Simon was born in New York City in 1926 and grew up during the Great Depression in two orphanages. One nurse took young Simon under her wing and had him help her with her duties. He was fascinated with the healing profession and thoroughly enjoyed being a part of it. When Simon was in high school, World War II was raging overseas. One day, he saw one of the newsreels that were popular at the time, “The March of Time,” which showcased the branches of military service and different jobs that people could have. He saw a Navy corpsman looking through a microscope. “I said, ‘Ooh, that’s for me!’” Simon remembers. That newsreel changed the course of his life. As soon as Simon graduated from high school, at age 18, he enlisted in the Navy. He became a lab technician, and during the rest of the war he served at naval hospitals in New York. He was now doing the exact job he had seen in the newsreel. Simon cared for soldiers and Marines who had been wounded in the war. “I was a noncombatant, but I was taking care of combatants,” Simon shared. He was working at St. Albans Naval Base Hospital when the war ended. And while the fighting may have stopped, there was still much to do. Simon began taking care of returned prisoners of war, many of whom had malaria or parasites. The end of the war also gave Simon a chance to serve overseas. He was assigned to a light cruiser and sailed to ports in the Atlantic and Mediterranean, including England, France, Germany, Greece and North Africa. “I really enjoyed my sea duty,” he remembered. 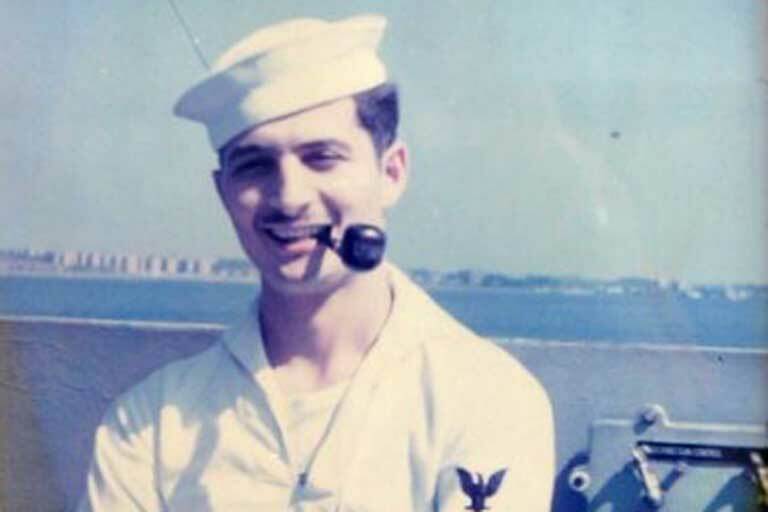 In 1949, Simon discharged from the Navy. He went on to marry and have six children. Simon wanted to do more, so he enrolled in night school and earned an associate’s degree at age 43. He continued his education and earned a bachelor’s degree five years later. Two years after that, at age 51, he earned a master’s degree in education. After 30 years teaching students in the radiologic technology field, Simon retired as the chairman of the department. Today, Simon and his second wife, Hinda, live in Garden Plaza at Inverrary. His family has grown to include 10 grandchildren and 16 great-grandchildren.